Good Morning (or afternoon or evening, depending on your location on the big beautiful earth)! 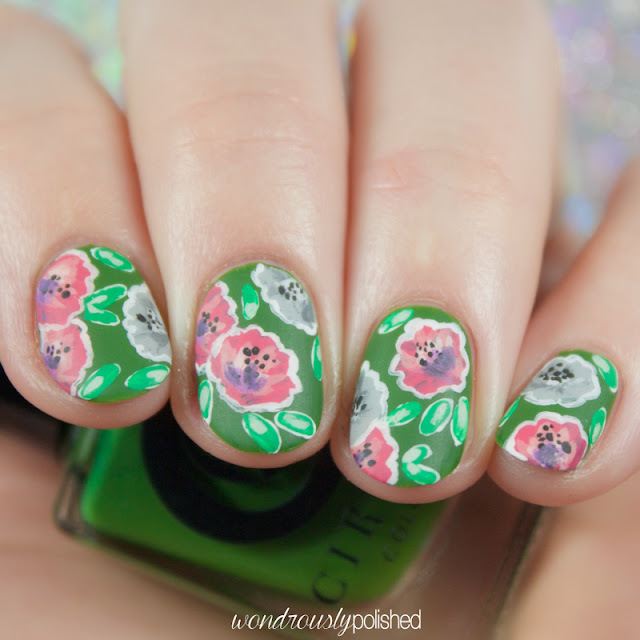 I've got another mattified floral mani to share with you all today. After yesterday's post, I browsed a bit more through the printpattern blog and came across this pattern just a bit farther down in the post I was inspired by yesterday. I've been wanting to try some of my new summer Barielle shades in some nail art, so this seemed a perfect opportunity. 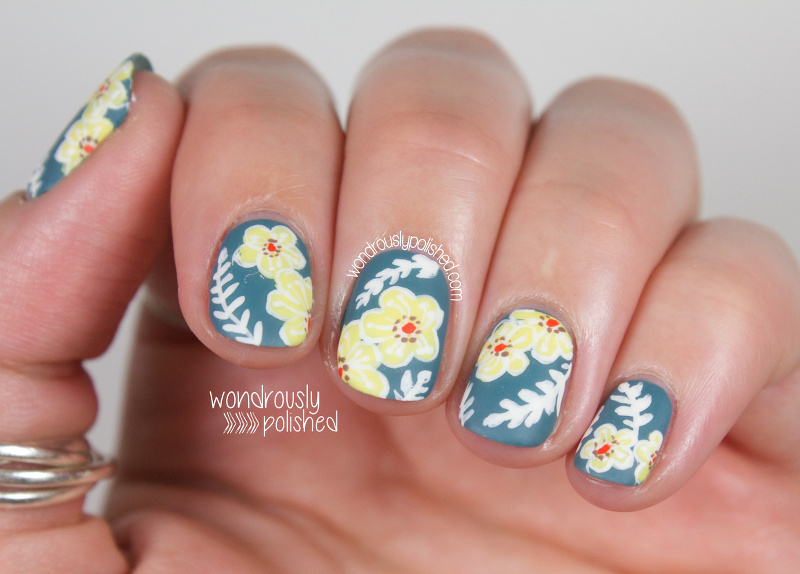 I love how these patterns have an air of vintage to them, yet they still feel cheery and fresh. 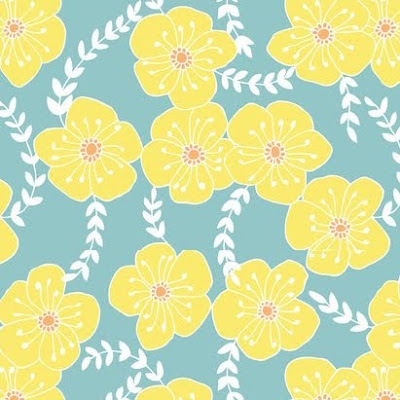 I mean, let's be serious, some vintage patterns should stay in the past where they belong ;) But I'm a fan of the revival of these bright and soothing floral and I'm sure I'll paint many more over the coming months. I was initially drawn to that stunning slate blue shade of the background and fortunately, Julep's Misti seemed the perfect polish for the job. 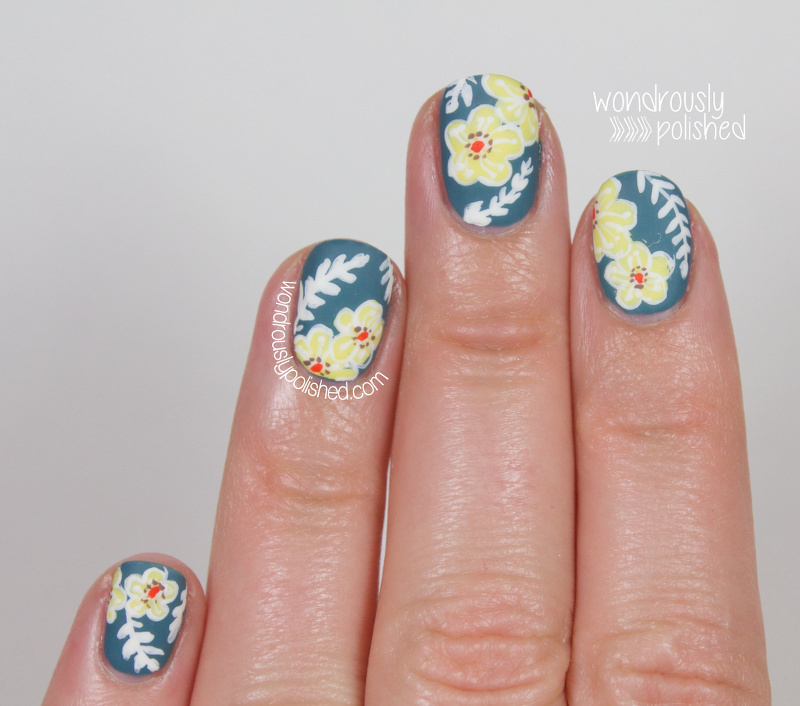 I painted the yellow flowers first using Barielle's Panama Pina Colada from their summer Keys collection and it had a great formula for nail art. Not too goopy and easy to manipulate. 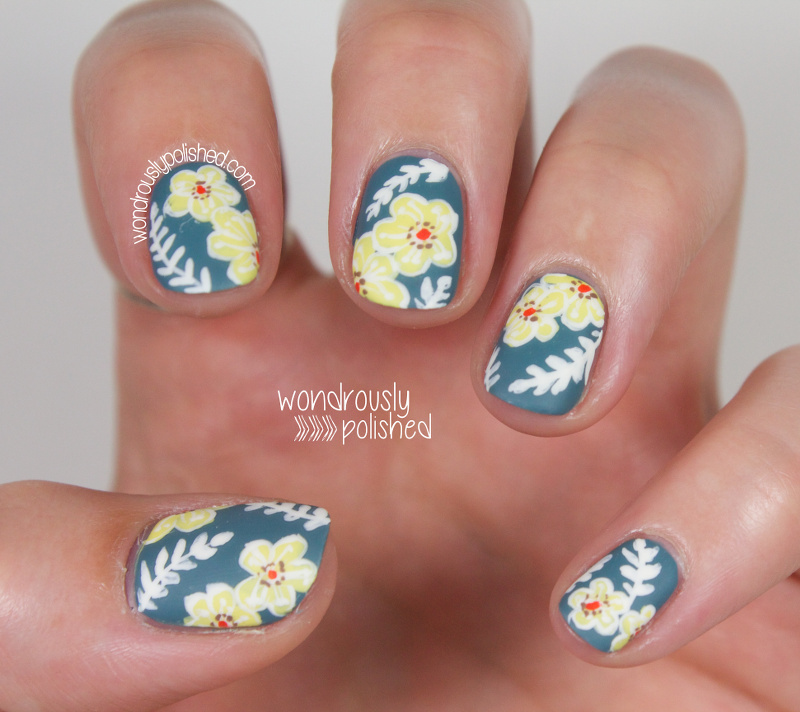 Then I added in the white detailing around each petals and painted in the leaves. 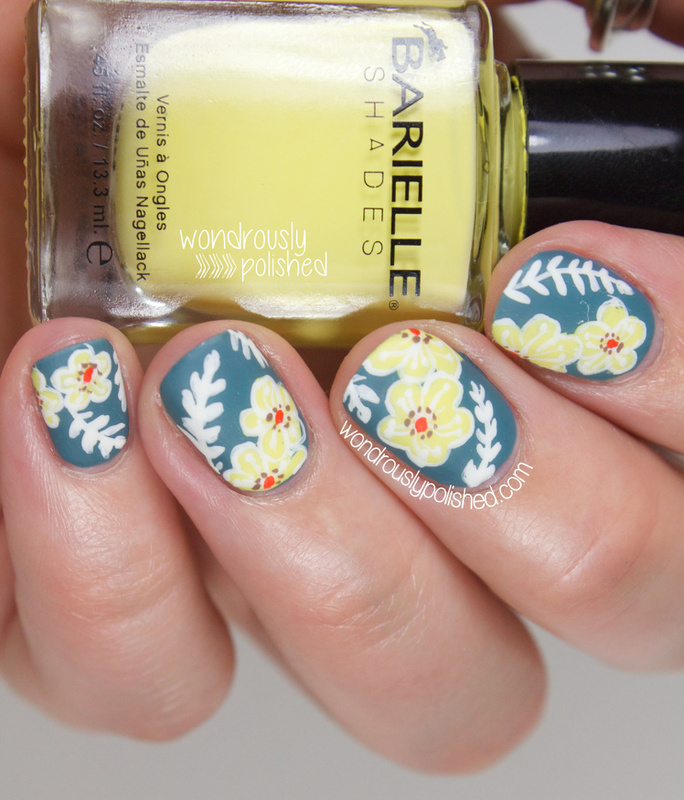 The center of the flowers use Barielle's Hawaiian Sunset (orange) and Essie's Fear, No Fear for the brown.